Fagor Control Systems attended IMTEX 2015, the largest metal cutting machine tool exhibition in South and South east Asia.IMTEX 2015 showed case technology refinements and upgrades, value added innovations in the complete product range of metal cutting machine tools and manufacturing solutions. More than 900 exhibitors from 25 countries showcased their very latest machines and solutions at this trade fair. Since Fagor Automation opened its own subsidiary in Bangalore (India) in 2007, it has been expanding its network to other locations in the country to provide closer service to our customers and users. 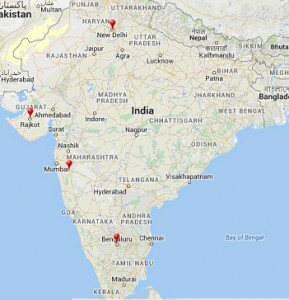 We currently have 4 subsidiaries in India : Bangalore, New Delhi, Pune and Rajkot.